Designed by Gamekeepers for Gamekeepers. Saving you time and money – year after year. Holding approximately 60kg of compound pelleted feed, they enable keepers to fill only in favourable weather, say on a twice a week basis. NO wet pellets clogging feeders at all. Certainly we will look to increase our feeder number in years to come. Gareth Clark, Headkeeper of Buttery Sporting, Exmoor. A Costly and Frustrating Problem? Are you fed up with feed getting wasted by the wet and the weather? Are you frustrated at losing feed to pests and livestock? Do you find it’s taking too much time to refill and check on your feeders? 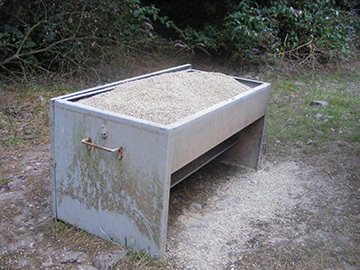 Is it getting expensive to keep replacing poor quality feeders? The Solution – Saving you Money on Raising your Game! 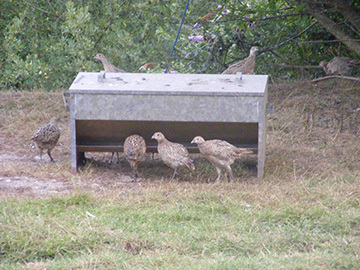 If you’re experiencing any of these problems, then Dymond’s high standard partridge and pheasant feeders are the answer. Not only do they save you time and money on feed, they will last you season after season so they will quickly pay for themselves. 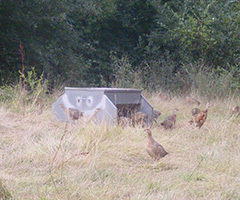 Indeed the original feeders are still in use after 16 years in the field. Large 60 kilo capacity, saving you time on refilling. A water drip keeps the feed dry in wet weather, so no costly feed waste. Restrictor bars to keep out deer and livestock so food is not lost or ruined. Vermin-proof with no plastic parts to attract them in. Removable weather guards mean they can be used as shelter in bad weather. Robust – they will not blow over. 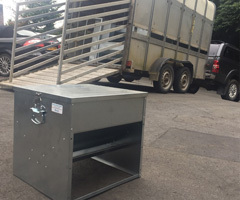 The Partridge feeder has removable restrictor bars so it can be used as pheasant feeders as well, whilst keeping out deer. 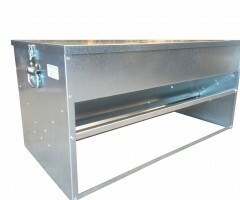 A central baffle plate ensures even feed distribution on sloping ground. They are quick and easy to move and fill. Shoots using the Dymond feeders include Maristow Shoot, Tregoyd Shoot, Buttery sporting and Spreacombe Shoot which have kindly given their endorsements. 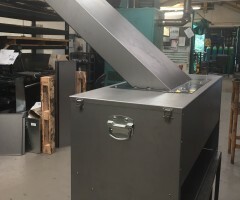 Because we manufacture to order there is a minimum quantity of 8, so some shoots may like to group together if they do not all need as many as 8 each. If you would like further information please contact Dymond Engineering on 01271 372662 or info@www.dymondengineering.co.uk/.